How do musicians come together to create? BANDED is an experimental music documentary that chronicles the creative processes of five Boston bands as they take the spark of an idea and turn it into a reality. 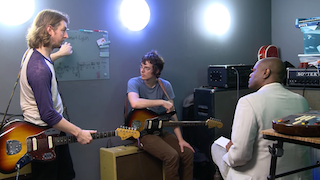 To capture the process, cameras followed the musicians as they wrote, reworked, recorded, and performed an original song. 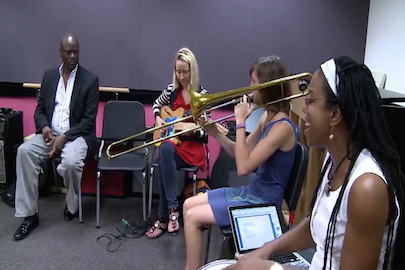 Along the way, each band was partnered with a Berklee College of Music faculty member to help hone their skills. The eclectic bands represent a spectrum of genres ranging from world-soul and indie-baroque to americana, psychedelic, and indie rock. BANDED connects music theory to real world musical collaborations, along the way capturing the struggles and successes of what it means to be a musician in todays creative landscape. In the film BANDED, Boston-based band Ghost Box Orchestra discusses an idea for a new work based on an image using a simple E minor pentatonic riff. Watch the clip from the film then explore the accompanying exercise in your classroom. Through this lesson, students will gain an understanding of the relationship between musical and visual expression by creating a minor pentatonic composition for a chosen piece of media. The activities in BANDED Lesson 2 will build on the composition concepts introduced in BANDED Lesson 1, and will lead students on a deeper exploration of pentatonic scales, this time examining the relationship between minor and major pentatonic scales using a variety of song forms to guide the composition process. This culminating lesson will build on BANDED Lessons 1 & 2, and will enable students to gain an awareness of the relationship between the minor pentatonic and the blues scale. In addition, students will be introduced to the harmonic structure of the standard blues progression. Students will begin by composing and playing simple melodies based on the blues scale, then move on to improvising over a 12-bar blues using different approaches. 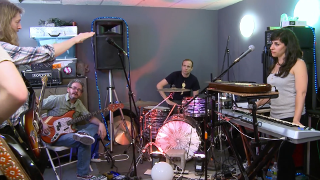 This next set of PULSE BANDED lesson strategies begins by featuring the band Zili Misik. The foundation of their music-making is based on respect and collaboration, and their music is influenced by roots music of the African diaspora. 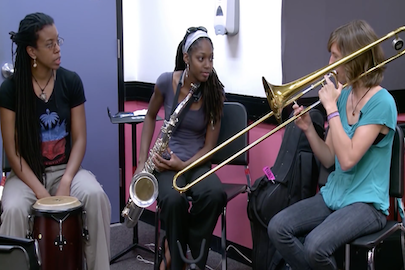 Using their music and spirited performance as a jumping off point, these lessons will provide some historical context and engage students in listening to and playing a variety of rhythmic grooves inspired by music of the African diaspora. In our next BANDED lesson students will dive into the basics of a rhythmic pattern called “clave”, named after the traditional two-stick percussion instrument. There are two basic types of clave: son or rumba clave. Most Afro-Cuban styles of music are built around one version of the clave pattern, which is fixed and repeated throughout the song, and forms the foundation for percussionists, as well as the other musicians in the ensemble. 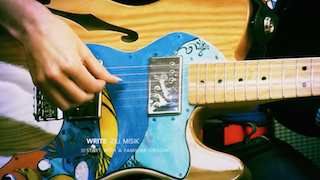 Watch the video to view how Zili Misik incorporates clave patterns into their music. This last lesson in the BANDED series is a culminating experience in which students will build on rhythmic and melodic concepts introduced in all of the previous lessons in the series. The activities in this lesson will focus mainly on building a groove around the 2/3 son clave rhythm pattern and will explore the basic cascara rhythm and other rhythms that are commonly found in many styles of Afro-Latin music. 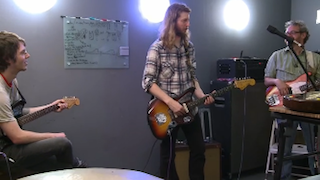 Drawing on experience with pentatonic and blues scales from previous lessons, students will then improvise or compose their own Afro-Latin inspired groove.